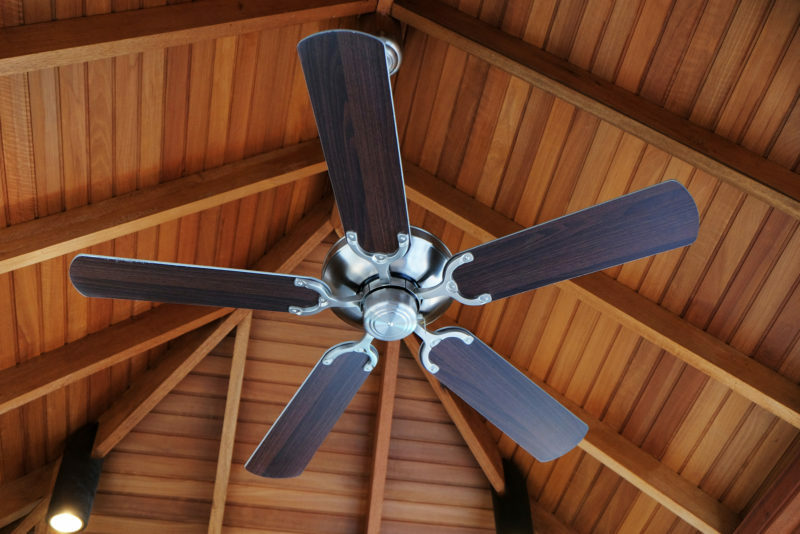 Ceiling fans can help keep you and your family comfortable by circulating the air in your Fort Myers, Florida, home. They come in a variety of colors and styles and many have ceiling lights. You can save energy by choosing the right ceiling fans, using them in summer and winter and turning them off when necessary. A bigger fan can move more air at once to keep you comfortable. Many have multiple speed settings, and they can increase the value of your home. Choose fans that have blades with steep angles to move air more efficiently. To get the best energy savings from your ceiling fans, you should use them in both summer and winter. In summer, fans spin counterclockwise to create a cooling breeze. You can use a small switch in the center of most fans to make the blades rotate clockwise in cold weather. This pushes hot air away from the ceiling and makes the temperatures in your rooms more even without creating a breeze. That way, you can stay comfortable while keeping your thermostat at a lower temperature. You should only use ceiling fans in occupied rooms. If a room is empty, leaving the fan running won’t make the rest of your house feel cooler. Make sure that you and your family members turn lights and fans off when they leave rooms to save energy. However, you can use fans occasionally in guest rooms or attics to help prevent poor indoor air quality, bad smells, and biological growth. Certified Heating and Cooling Inc. is a Trane Comfort Specialist with more than 10 years of HVAC experience and an A+ rating from the Better Business Bureau, and we can help you save energy and lower your utility bills. For honest, quality service at fair prices and help with maintaining, installing, or repairing a variety of equipment, call us anytime at 239-205-8342.